Healthy Diet: It's hard to turn on the television or cruise the internet without being bombarded with headlines about "Americans don't sleep enough" or "one third of adults are obese." While stress, heredity, and smoking are all factors that play into a person's well being, one of the biggest is a healthy diet. Choosing to eat healthy benefits the body in a number of key areas. Still gobbling up the pizza and slurping down the diet soda, unconvinced? See if these eight points about a healthy diet change your mind. Healthy muscles carry us where we want to go. The right foods, along with proper exercise, build and maintain muscle mass, maintaining strength and mobility. Feeding your body what it needs can add years to your life. Reducing stress is one way to promote health, and a healthy diet is another. Foods rich in minerals and vitamins build up every cell in your body, preparing it to fight illness and stay alive longer. An individual who is healthy maintains a higher level of physical activity and brain function than their less healthy peers. A stronger body provides a richer life with more unique experiences. If you won't eat healthy for your insides, maybe a better outside will motivate some dietary changes. We all want to be physically attractive. Healthy foods contribute to clear skin and shiny hair that no amount of high priced beauty products provides. Fueling the body with rich omega fatty and other healthy foods nourishes skin, hair, and nails. Research shows certain dietary choices power up your brain to function at a higher level, and help everyday brain function. Introducing "brain foods" into your diet aid with memory retention and problem solving skills. This is one of the best reasons to commit to a healthy diet of vitamin-rich foods, as a healthy brain allows a much more active and independent lifestyle, from working longer to being able to drive. A high-functioning body with strong bones and muscles maintains balance, handles heavy loads, and holds up under stress better than its weaker counterparts. Muscles and bones lacking calcium and protein over time grow weaker. This, unfortunately, causes the body to be less stable and more prone to injury. Falls, slips, and twists end up with more serious injuries if a person's body isn't strong and healthy. If you are already worried about the cancer that runs on mom's side or the heart attack risk that runs on dad's side, take heart. While you can't change your DNA, you can use a healthy diet to combat some of your genetic disposition to disease. Ingraining a healthy diet into your life, as well as exercise and regular doctor checkups, helps minimize the risk of falling victim to your family's predisposed illnesses. A nutrient-rich diet boosts a person's immune system to be able to fight off infection and illness. 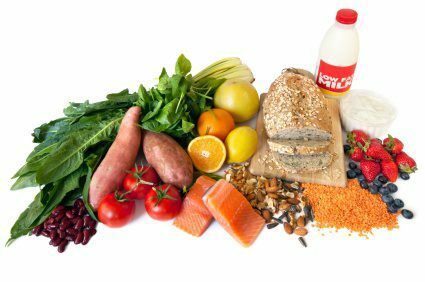 When a person falls victim to a disease or other medical condition, their diet helps them fight it off so it hopefully doesn't get worse and is cured quickly. A healthy diet is integral to a long, happy life. Deciding to eat healthy and maintain that commitment consistently may seem like a big change in lifestyle at first, but it will benefit you and your loved ones in ways that are practically immeasurable.